The Australian titles released in cinemas this year including holdovers will overtake the calendar 2017 total in the next week or so, boosted by Bruce Beresford’s Ladies in Black. 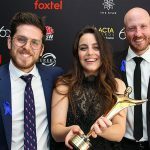 Through the end of September the Oz films and feature docs had grossed $47.8 million, according to the Motion Picture Distributors Association of Australia (MPDAA), within spitting distance of last year’s $49.4 million. 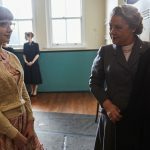 After a second weekend drop of just 10 per cent Ladies in Black’s takings have increased by nearly $800,000 to $5.97 million, including $361,000 on Tuesday, so the 1950s-set comedy-drama distributed by Sony is on course to surpass $12 million. Distributed by Universal Pictures as an alternate content release, Mark Joffe’s biopic Jimmy Barnes: Working Class Boy rang up $823,000, ranking as the year’s second biggest feature doc behind Paul Damian Williams’ Gurrumul, which made $984,000. 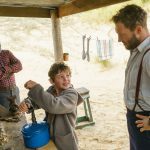 Among the other September debutantes, Mark Grentell’s The Merger collected $405,000 and Benjamin Gilmour’s Jirga took $108,000 in its first four days on limited sessions on nine screens, including festival screenings and previews. Jeremy Sims’ feature doc Wayne misfired while Ben Lawrence’s Ghosthunter went out on just three screens. October is a busy month for local releases including Corey Pearson’s Harmony, which opens on Thursday, Russell Mulcahy’s In Like Flynn (October 11, Umbrella), Lliam Worthington’s One Less God (October 11, Umbrella), Stephen McCallum’s 1% (October 18, Icon), Heath Davis’ Book Week (October 25, Bonsai Films)and Catherine Scott’s Backtrack Boys (October 25, Umbrella). At this point the only title dated after that this year is Joel Edgerton’s Boy Erased, which AACTA classifies as an Australian production (November 6, Universal). If the stars align the 2019 slate will eclipse this year’s commercially. Surely there will be hits aplenty among Anthony Maras’ Hotel Mumbai, Jennifer Kent’s The Nightingale, Kiah and Tristan Roache-Turner’s Nekrotronic, Wayne Blair’s Top End Wedding, Rachel Ward’s Palm Beach, Kriv Stenders’ Danger Close: The Battle of Long Tan, Shawn Seet’s Storm Boy, Rachel Griffiths’ Ride Like a Girl , Justin Kurzel’s True History of the Kelly Gang, Unjoo Moon’s I Am Woman and Gregor Jordan’s Dirt Music. Beyond that will be a raft of indie releases including Natalie Erika James’ horror movie Relic, Grant Sputore’s I Am Mother, Tony Tilse’s Miss Fisher & the Crypt of Tears, Luke Sparke’s Occupation: Rainfall, Owen Trevor’s Go Karts, Jeremy Sims’ Rams, Justin Dix’s Blood Vessel, Mirrah Foulkes’ Judy and Punch, Sophie Hyde’s Animals , Dean Murphy’s The Very Excellent Mr Dundee and Louise Alston’s Back of the Net.